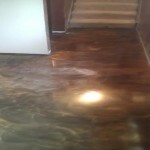 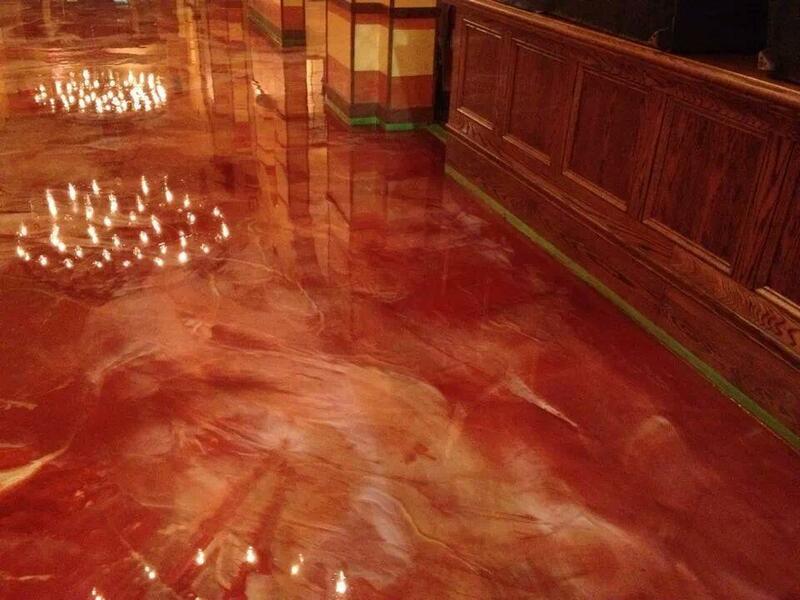 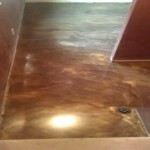 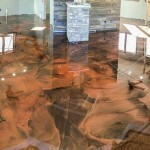 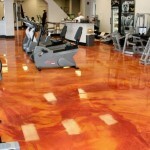 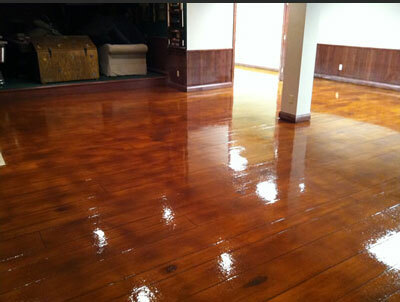 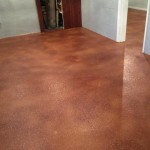 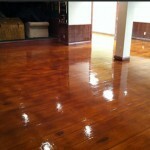 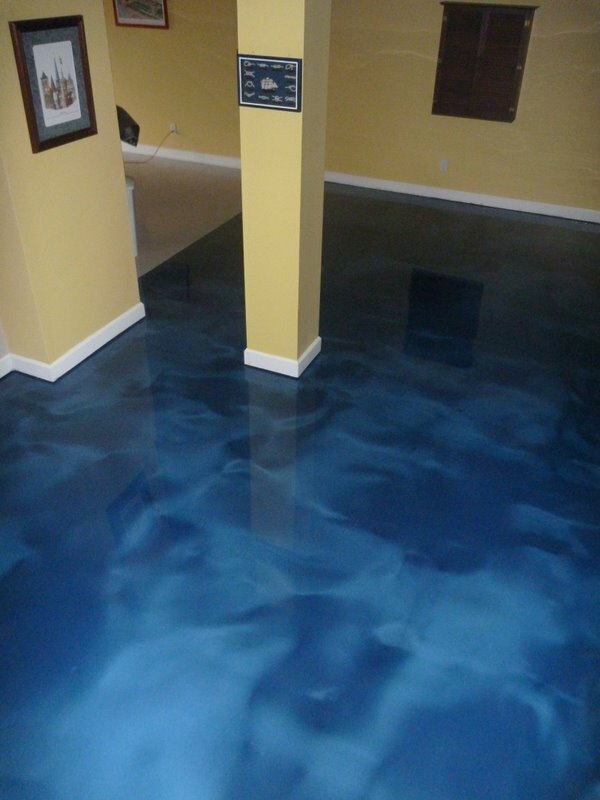 Metallic Epoxy floor coating is a 100% solid, two component epoxy. 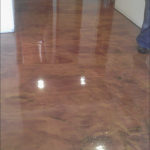 It is a special formulated epoxy with a pearlescent metallic pigment that looks like marble. 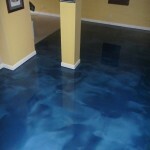 It is roller or squeegee applied to your floor. 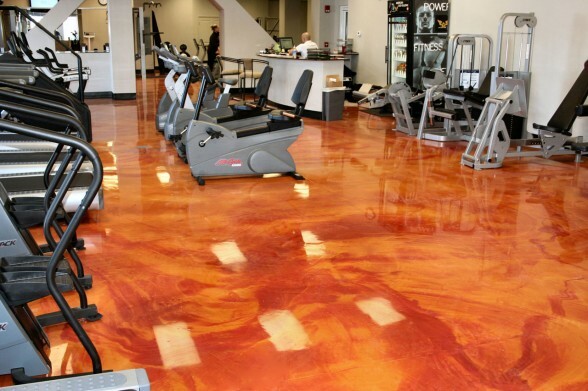 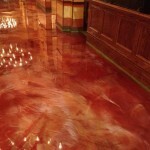 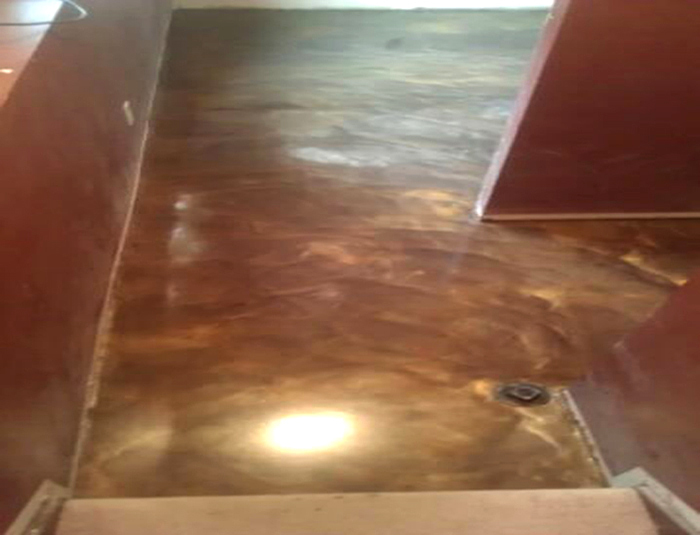 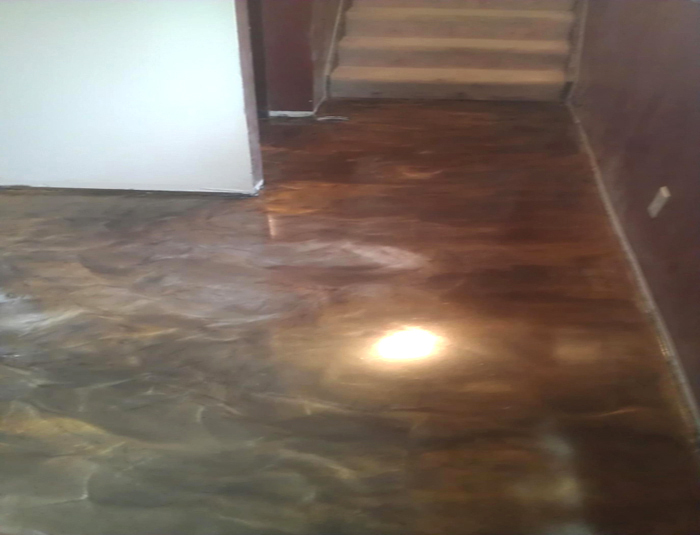 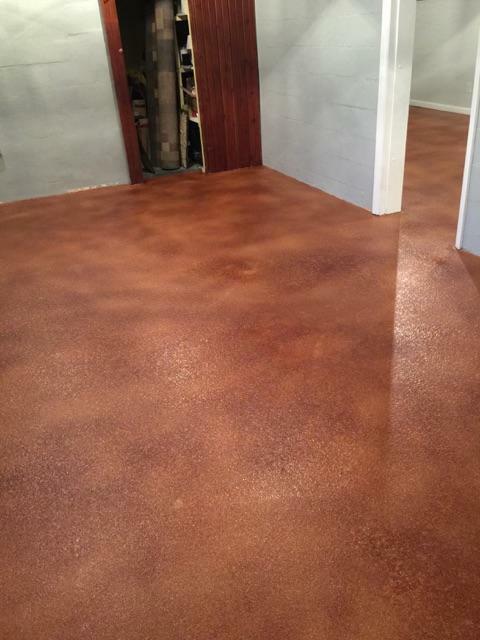 This Metallic Stain floor coating requires a primer coat; metallic 100% solids epoxy basecoat, an optional UV resistant urethane or 100% Solids epoxy clear coat.